→18650 Battery Vs. AA: Are There Any Difference? There are different batteries that you can see on the market today. Obviously, each of them has their intended applications and usages. But currently, you can notice that there is a withstanding notion between 18650 batteries and AA batteries. The bout of 18650 battery vs. AA battery has been going for quite some time already. People are seemingly undecided which one of them works best. But on this article, we will be clarifying this matter. We will give important points to each of these battery types. In this way, you can decide which one of them will suit your needs and intended applications. Let's get started. As you can see, the reason why people are comparing 18650 batteries to AA batteries is due to their seemingly similar distinctions. That is a common case, especially if you are looking for replacements for AA batteries (as it is the most common). If you search up for rechargeable AA batteries on sites like Amazon, they will offer you 18650 batteries as among the selections. But you should not get fooled by this. After all, these power sources are not the same. Take note that an AA cell is worlds apart to a 18650 battery. The latter is a lithium-ion (Li-ion) cell that has a nominal voltage of 3.6 volts (per piece). Its design follows the conventional design of modern batteries. It uses authentic lithium ion connected to particular circuitries. Specifically, an AA battery (non-rechargeable type) operates around 1.5 volts. One classic example for this is the zinc-carbon cells. You could also consider several variants of alkaline batteries that fall under this category. On the other hand, a rechargeable AA battery has different nominal voltages. For instance, nickel-zinc variants have a nominal voltage of 1.6 volts while nickel-cadmium (Ni-Cad) has 1.2 volts each. In short, you cannot just replace AA cells with 18650 batteries. 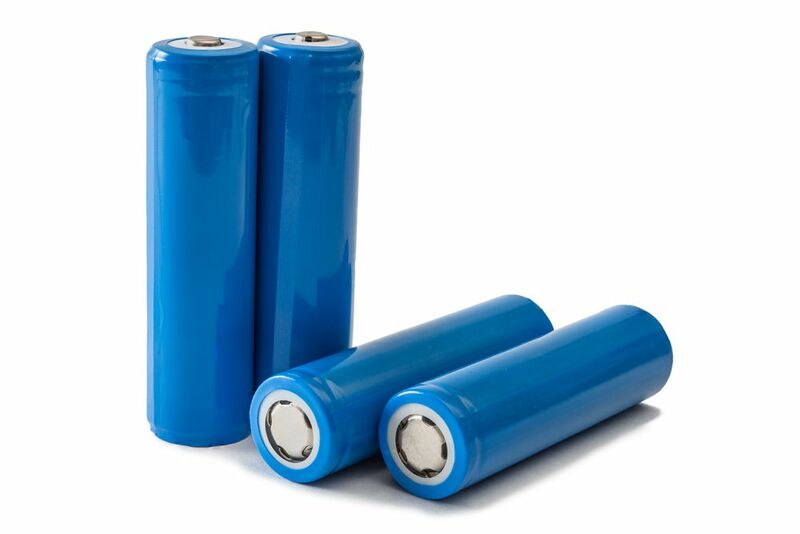 The typical nominal voltage of a standard 18650 battery is twice as an AA battery has. If you use it on an inappropriate device, the latter could incur some damages. There are a variety of devices that can use a 18650 battery. But you should make sure that they are compatible with such power source. Originally, a 18650 cell is a laptop battery. It was soon developed to become usable on automobiles. It became the standard for lithium-ion batteries. Today 18650 cells are already compatible with flashlights and other appliances. If you are looking for a rechargeable 18650 battery, make sure that it comes with an appropriate charger. Otherwise, you will have to invest in a separate one. Meanwhile, an AA battery is a common type of power source. Many household items operate through this cell. For example, camping flashlights are﻿﻿﻿﻿ compatible with AA batteries. Even your clock and remote are using this battery, too. Just like the AA batteries, AAA batteries have lesser power output than 18650 battery. You can say that one 18650 battery is equivalent to three AAA batteries. Specifically, a high-quality 18650 battery has a nominal voltage of around 3.7 volts with an amperage of 3,400 mAH. You could say that AAA batteries are slightly powerful than AA cells. But of course, you should always consider their intended applications and devices. You can confirm their difference if you test them on a flashlight. Specifically, the illumination that a 18650 battery can produce for a LED flashlight is way brighter than an AA or AAA cell. 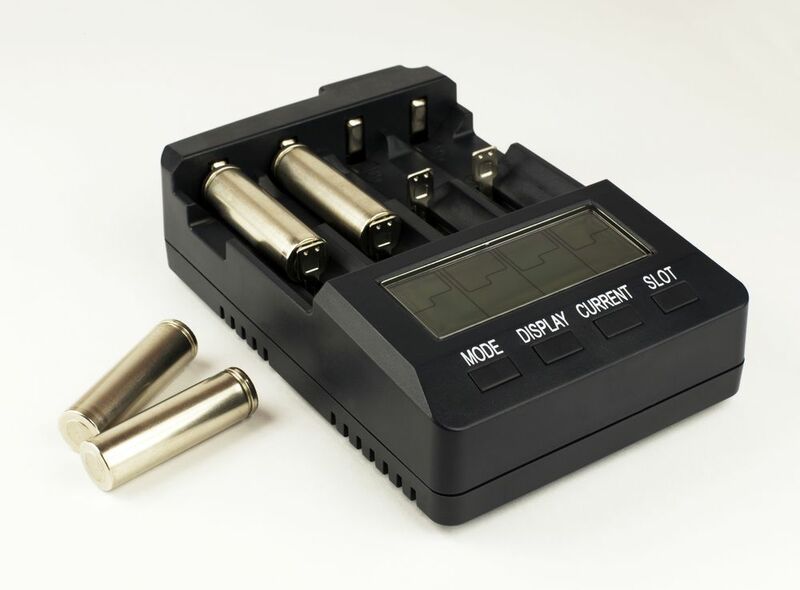 If a particular device is compatible with 18650 batteries, then you should prioritize getting this power source. You can only opt for AAA or AA cell if your 18650 is already dead and cannot get an immediate replacement. These said batteries are also ideal for light applications, too. When it comes to lithium-ion batteries, there are two names stand out: the 18650 and CR123. We already mentioned that a 18650 is a standard type of Li-ion batteries. However, when it comes to popularity, the CR123 is seemingly domineering. There is only one downside that you should know about the CR123. The latter is not rechargeable. Once it runs out of juice, you should dispose of it already. Of course, if you are quite worried about the expenses, you might need to decline the use of this battery. 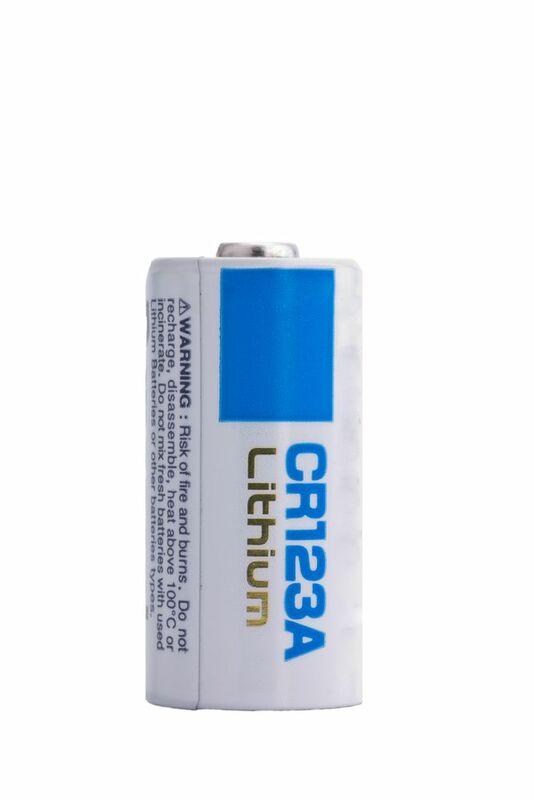 Despite this, many people are still using the CR123 batteries. The biggest reason for this is its high-resistance to extreme temperatures. Therefore, you can easily use them in both hot and cold conditions. Moreover, many manufacturers consider this type of battery as a "survivor" tool because of their long lifespan. Because of this, most tactical flashlights are using this battery. A 18650 features rechargeable capabilities. Moreover, they have high compatibility with devices that have high currents. But their shelf life is not that great. Moreover, they are quite complicated to use, as they are susceptible to overcharging. Both the 14500 and 18650 are both lithium ion batteries. They are quite popular in the market because of their varied uses. However, it is notable that a 18650 battery has a larger size compared to the 14500. Therefore, it is slightly harder to use compared to a 14500. However, take note that a 18650 still have a longer lifespan compared to a 14500. Moreover, the 18650 will perform according to its specified capacity. Therefore, if a 18650 battery has a 200mAh, then it will operate under such specification. On the other hand, a 14500 battery typically has a rating of 900mAh. But you should realize that its actual operating power might just fall under 800mAh. It is true that 18650 batteries are space-consumers. But when it comes to performance, this battery type is practically powerful and economical. Some people think that a 26650 battery is stronger than a 18650 battery. Well, you should debunk this particular notion and consider this as entirely wrong. Both the 18650 and 26650 are lithium-ion batteries. They typically share the same operational rating (e.g. 3.7 volts and 3,000mAh). The only difference that they have is just their size. Specifically, the 26650 is like the big brother of the 26650. 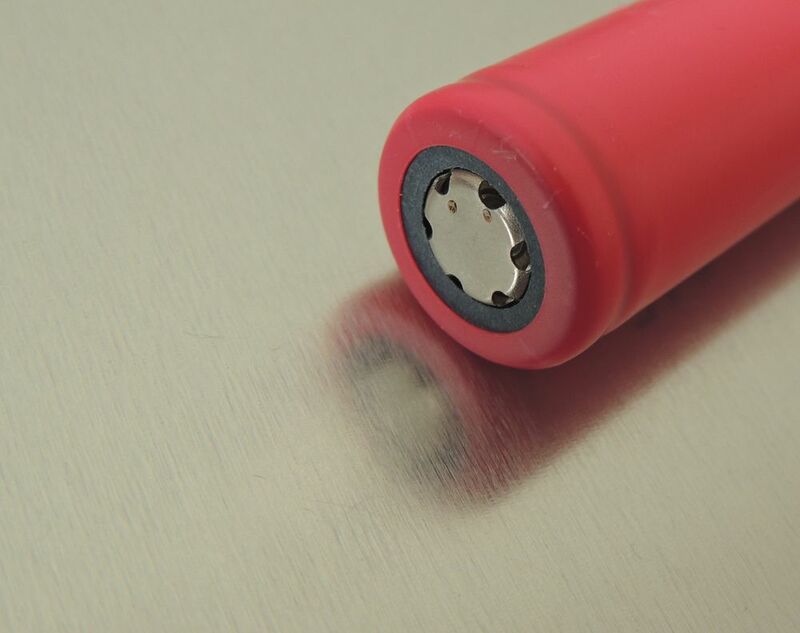 If a standard 18650 battery has a size of 18mm, then the 26650 battery has a typical size of 26mm. 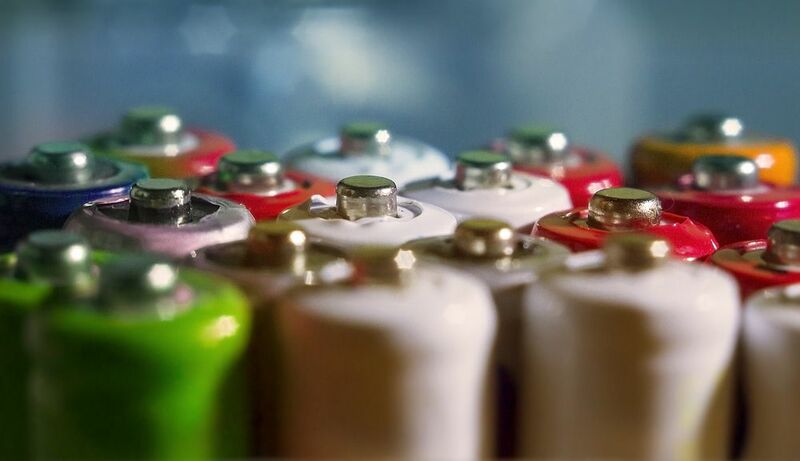 Take note that those batteries that have nominal voltages of 3 volts or 3.2 volts or higher will need a charger that has a maximum voltage of 3.6 volts. Meanwhile, cells that have 3.6 volts or 3.7 volts nominal voltage will require a charger that has a voltage of 4.2 volts. Various devices use 18650 batteries. As we mentioned earlier, manufacturers made them for a laptop battery. But it soon evolved and became a standard power source for many items that we have today. For example, flashlights and remote controls benefit from the performance of this battery. Electric Chainsaws - There are two types of chainsaws today: the gas and electric one. Some electric chainsaws operate by a pack of 18650 batteries. Just look at the market carefully. You will find a model that is using this power source. Lawn Mower - Another electric device that runs on a 18650 battery is a lawn mower. Unlike their traditional counterpart, electric lawn mowers don't produce air and noise pollution. As long as you can get an ergonomic unit, you can easily maintain your yard without spending too much on electricity! Mini Cameras - There are some cameras today that operate by 18650 lithium ion batteries. Of course, these cameras do not possess the same quality as DSLRs. However, they are a good choice if you opt for convenience and ease of usage. Camping Stoves - There are different variants of camping stoves. Typically, the variation is categorized based on their heating sources. 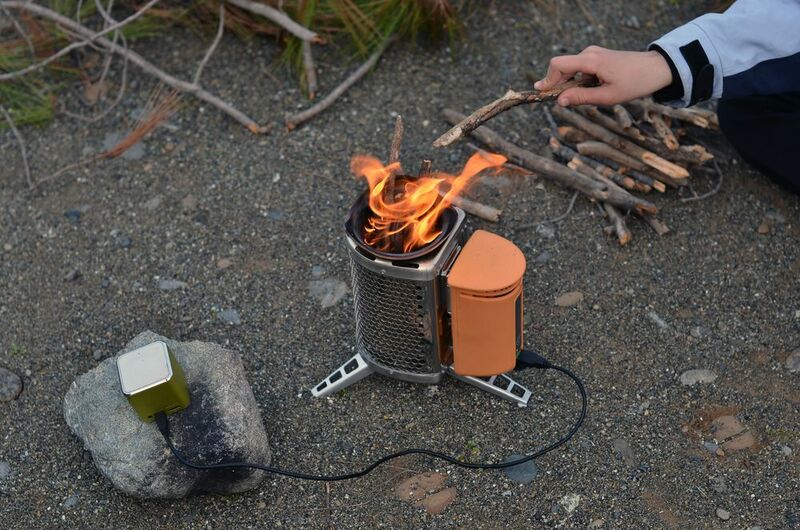 If you are looking for an electric camping stove, you can certainly models that are using 18650 batteries. They are an eco-friendly choice since they don't generate pollutants to the air and your surroundings. Digital Clocks - Many digital clocks today work by 18650 batteries. Because clocks don't consume too much power, you can guarantee that a single 18650 battery can last for several years. Of course, you need to look for a digital clock that has energy-saving features for you to savor such benefits! It is not a surprise anymore that flashlights are among the typical recipients of batteries. After all, these devices don't have a corded design. That's why they have to run on an independent power source. Of course, you could have flashlights that are being operated by AA and AAA batteries. But if you want a flashlight that can shine without missing any spot, you need to look for models that function by using 18650 batteries! ThorFire VG15S - One of the brightest LED lights that we have ever seen is the ThorFire VG15S. It has five brightness levels and provides up to 650 feet of reach. It has a sturdy construction and IPX8 waterproof rating, making it an ideal camping and survival too. Of course, it runs on one 18650 battery only! Prosvet E6 - The Prosvet E6 can generate up to 1,200 lumens of light, which is extremely bright compared to other LED lights. Just like the ThorFire VG15S, the Prosvet E6 also five brightness mode, which can serve in different situations. It has an adjustable focus, too. Anker Bolder LC40 - Another 18650 battery-operated LED flashlight that you should consider is the Anker Bolder LC40. It can operate for 6 hours if you are going to use a 18650 battery and 4 hours for three AAA batteries. This flashlight has an IP65 waterproof rating and specifically designed to endure heavy rains. LuxPower Tactical V1000 - The LuxPower Tactical V1000 An excellent tactical flashlight that can survive any harsh conditions. It has a great defense against external detriments and can withstand shock easily. You can submerge it underwater during emergency cases and rescue operations as well. It only takes one 18650 batteries to operate this durable and high-powered flashlight. Skysted WF-502B - If you are into flashlights, you have probably heard about the Skysted WF-502B. It is among the flashlights that use the latest Cree XM-L2 LED bulb. As a result, it can generate bright beams (around 1,200 lumens) without generating too much heat. It can work through the use of 18650 battery or a CR123A battery. Prosvet A100 - The Prosvet A100 is using the Cree T6 LED bulb, which features an extraordinary long lifespan. Specifically, the LED lamp has an operating life of around 100,000 hours, which is insane! It has an aluminum alloy construction which makes it rigid and durable. Despite its performance, this tool doesn't consume too much power from your 18650 battery! UltraFire Sk98 - It is notable that the UltraFire Sk98 has a skid-proof design which provides a comfortable and secured hold for its user. 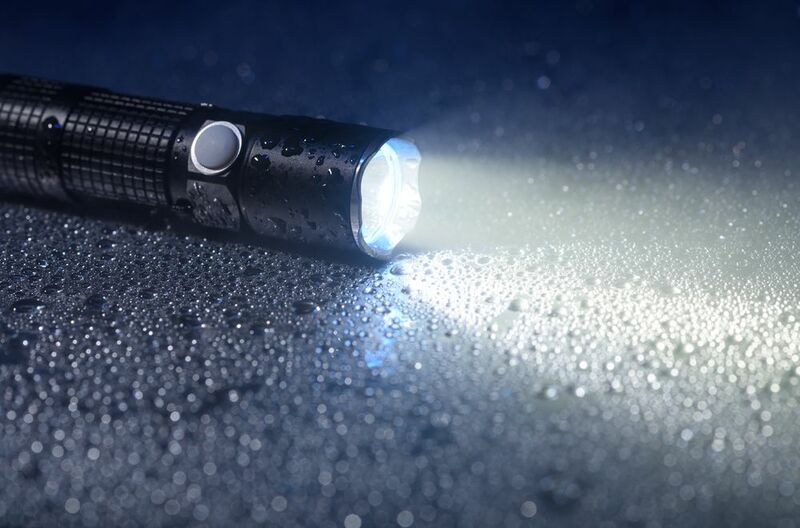 It is not as powerful as other LED flashlights, but it is an ideal day-to-day flashlight. It is perfect for camping and outdoor purposes because of its durable construction and waterproof design. These are some of the important things that you should know about 18650 batteries and its other counterparts. We are hoping that this article has clarified some ambiguity that has been settling in your mind. Of course, it is pretty important that you know the particular nuances that each of these batteries has. After all, these batteries have different applications to play. If you use the wrong battery on a faulty device, things might end in a catastrophe. Take note that there are proper ways to take care of your battery. For example, you should always avoid overcharging. This particular practice quickly degrades the lifespan of the cell. It slowly burns down the circuits, which can certainly affect the battery's efficiency. Parallel to that, do not put your devices on your hot places (e.g. under the heat of the sun). The battery inside your gadget will eventually fry and lose its quality. Do you have any questions? Feel free to ask us in the comment section below!